Studies show that people looking to improve their fitness and improve their health achieve significantly greater results when using a personal nutrition expert. An effective personal nutrition expert can guide you, motivate you, and educate you. Nutrition experts provide support and guidance. A good nutrition expert will also make sure that you don’t damage your body with today’s assortment of health fads. It is important to note that there is a right way, and a wrong way, too eat. 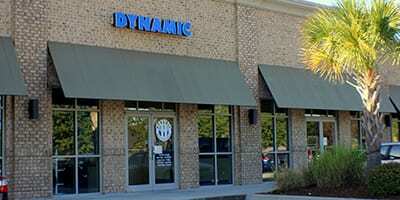 Don’t risk harming your body…call Dynamic Health and Fitness today. Before we design a program, we must take into account your current lifestyle and eating habits. We analyze your goals and nutrition needs. We will create a food diary, analyze your current dietary intake, and then develop a plan that best meets your unique needs. Learn how to eat right without struggling. Our program will improve your eating habits, give you more energy, promote overall health, help you stay fit, and assist in weight-loss. I will design a supplement plan to complement your healthy lifestyle. We are experienced herbalists in addition to being experts in the area of vitamin and mineral supplementation. We will also develop a plan to address any specific health issues or concerns that you have. We can design a plan that can help alleviate or reverse the effects of many ailments. We can also discuss how to use nutrition to prevent many common ailments. We will evaluate any family history and environmental concerns as well. We can help you address health concerns such as heart disease, diabetes, digestive disorders, skin problems, eyesight, vitality, obesity, and many other issues. We will take you shopping and teach you how to make smart shopping decisions. You will be amazed how easy it is to buy the right things, and how much money you will save in the process! We will perform a body fat assessment and we will plan a course of action for effective weight reduction and weight management. We will determine the amount of body fat that is appropriate for you. See how it easy it can be to eat healthy when dining out. You will be amazed how many choices you will have. You will learn how to look for warning signs on a menu, and distinguish between healthy sounding and actually healthy. We will use cutting-edge technology to uncover your current rate of metabolism. Our measurements are guaranteed to be accurate. We will then continue to monitor your metabolism throughout the program. We do not conduct a one-time assessment. That does not help you. We believe that continual monitoring will help us determine what is effective and what isn’t. Since your body is unique, we monitor how your body responds to the current plan, and continually modify as necessary. If you feel that the plan is too difficult to maintain, we will make adjustments as necessary. We never leave you to fend for yourself after a few consultations. Once you are a client of mine, you will always be considered a client. We are always available for motivation, inspiration, and support. We will make time for you, whether by email, phone, or an in-person consultation. You can always count on us to be right by your side.